>>> DOWNLOAD OUR CLEAN SLATE VOTER GUIDE TO TAKE TO THE POLLS HERE! It’s odd, considering the critical importance to the future of the city, that the news media haven’t been that fixated on the mayor’s race. Debates and forums take place several times a week. Key endorsements happen regularly. The city—this deeply wounded city, under attack from speculators and greed—desperately needs change. And yet the narrative is not one of crisis. It should be. This election matters—so much so that the ability of San Francisco to survive as a diverse city is literally on the line. Another two, six, 10 years of the same policies we’ve seen for the past seven years and there may be nothing left of the San Francisco so many of us love and call home. So pay attention, tell everyone you know, drag people to the polls—and vote, as if your city depended on it. Because it does. Nobody expected that the next mayor of San Francisco, and the future of the city, would be decided in what’s normally a fairly quiet off-year primary. 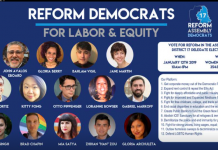 But the tragic death of Ed Lee forced candidates who expected to be able to organize, raise money, and put together a platform for November, 2019 to scramble for a race that has become a sprint. It will be the first election since 2003 where there is no incumbent running – and the first real test of ranked-choice voting in a mayoral race. If any of the candidates who are generally considered in the top three win, they will make history. London Breed would be the first African American woman to serve as mayor; Jane Kim would be the first Asian American woman. Mark Leno would be the city’s first gay mayor. We recognize that—and we also recognize that the city is facing an existential crisis. The tech boom encouraged by the Lee Administration has devastated communities, forced tens of thousands of San Franciscans out of town, driven small businesses to close their doors, and enriched a few at the expense of everyone else. The next mayor needs to be able to admit the mistakes of the past, begin to repair the damage, and find a way to again make San Francisco a city for everyone, not just the wealthy. We begin with a few basic positions: We believe that the next mayor needs to promote a tax, spend, and regulate agenda. We don’t believe that the private market can solve the housing crisis. We need solutions that start with the concept that too much wealth is controlled by too few, and that equity in this city requires that the mayor use all the powers of their office to redistribute that wealth. None of the candidates are perfect. We have had many occasions to disagree with all of them. But the only hope for San Francisco is a mayor who will offer a dramatic change from the policies of the past. Sup. London Breed is not that candidate; she has been a part of the majority on the board that helped the Lee Administration with the failed policies that got us into this mess, and shows no signs of wanting to change the direction of the city. Because of her record on the board, and her stand on the issues, we can’t support her. Sup. 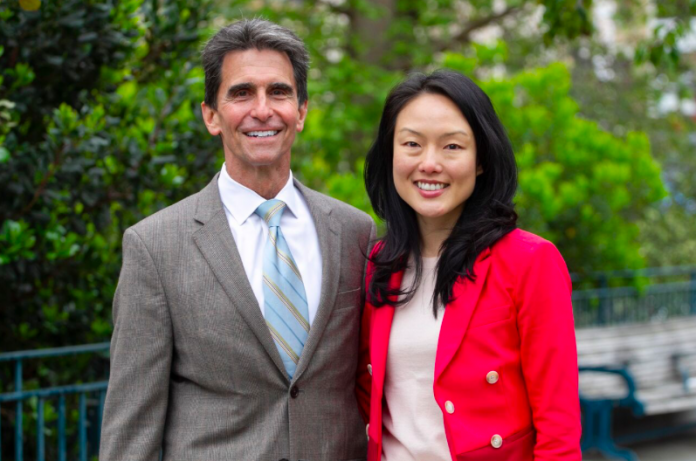 Jane Kim and former State Sen. Mark Leno offer hope for change, and we are endorsing them, jointly. Breed has a compelling life story. Raised by her grandmother in decrepit public housing, she graduated from the public schools, from UC Davis, and a masters’ program at USF. She is smart and charismatic. But as supervisor, she’s been part of the conservative majority that, among other things, allowed Airbnb to devastate the local housing stock (she was the swing vote to block real regulation). She refused to support the anti-speculator law, Prop. G, in 2014. She also tried to derail a bill by Sup. David Campos mandating more tenant protections for people facing Ellis Act evictions. She was on the side of the Google Bus operators. As board president, she appointed the most conservative supervisors to head the key committees. Her policies have been part of the problem for so long that it’s hard to see her becoming part of the solution. Her campaign did not respond to our requests for an interview. We have not always agreed with Jane Kim. She was the sponsor of the Twitter tax break, which helped create the nightmare that is housing in San Francisco—and when we talked to her, she defended that position and said that she would have done it again. But Kim told us that the results of the past seven years of policy at City Hall have not been overall positive. She has been a reliable progressive vote for most of her tenure, and she’s not afraid to tax the wealthy to fund free city college and universal child care. She’s proposing a $1 billion bond act for affordable housing. She’s strongly against SB 827, the Wiener real-estate bill that would upzone practically the entire city. We haven’t always agreed with Leno, either—although most of our disputes in recent years have been about politics, not policy. Leno has a record of endorsing candidates like Scott Wiener, who was often a terrible vote at the Board of Supervisors and has been even worse as a state senator. He did not endorse David Campos in his race against David Chiu for State Assembly. He endorsed Breed over tenant advocate Dean Preston in District 5 in 2016. But in the state Senate, he has been a leader on affordable housing and tenant issues. He tried mightily to amend the Ellis Act to prevent some of the worst evictions in the city. He told us he would sue the speculators who are abusing that law. He is more cautious about criticizing the policies of the Lee Administration, but he is not part of the crowd that has been running SF for decades and would bring some desperately needed new blood into the Mayor’s Office. The Guardian has never done a joint endorsement for mayor—or for anything else. But this race will be decided by ranked-choice voting, and unless the polls and our analysis of the race is seriously wrong, Breed, Leno, and Kim will be in the top three when the votes are counted. It’s critical that Leno and Kim and their allies work together, because the second place votes of the person who finishes third will determine the next mayor of San Francisco. There are two other candidates in the race who we considered. Former Sup. Angela Alioto was often a progressive in her time on the board, and was a stalwart supporter of public power and a foe of PG&E. She told us that she thinks the policies of the Lee Administration were a disaster, she wants more regulations on Uber and Lyft and the Google buses, and she has shown both tremendous compassion for homeless people and the willingness to put her considerable energy into getting people off the streets. If it weren’t for her ties to the Police Officers Association, we might have given her our number three nod. But Alioto has gone all-in with the POA, which supports racist, homophobic cops and is the number one obstacle to reform in the department. She is proud of the POA endorsement and is backing the organization’s ballot measure that would overrule civilian authority and force the city to give Tasers to all the cops. That would pretty much disqualify any candidate from our endorsement. Amy Farrah Weiss ran against Ed Lee in 2015 in a hopeless symbolic race when nobody else would, and she has some valid and creative ideas. But this is the political big time; the next mayor will need a depth of experience and seasoning to take on the crisis we’re facing. Our message to Weiss is the same that we have sent to many candidates in the past: Please, stay involved. Serve on a commission. Run for district supervisor. Shows us a track record. You need to spend some time earning your chops in the minor leagues before you ask us to put you in as a starting pitcher in the world series. We’re going with Kim and Leno—and urging everyone to rank at least one and two on your ballots. Once upon a time, Jeff Sheehy was a left-leaning president of the Harvey Milk Club, a campaigner for open government, and one of the earliest advocates for equal benefits for LGBT couples. Then he got involved in a campaign to make it easier to turn apartments into condos, and was the later Mayor Ed Lee’s choice to replace Scott Wiener as D8 supervisor. We give Sheehy credit for defying the Lee Administration’s allies, including Ron Conway, and voting to name Mark Farrell interim mayor, ensuring that Sup. London Breed couldn’t run as an incumbent. But he’s not opposing SB 827, he’s been a part of the moderate camp, and frankly, his heart doesn’t seem to be in the job. Mandelman is an energetic progressive who has served with distinction on the Community College Board. We haven’t always agreed with him, but he has a strong grasp of the issues and showed his ability to be tough when he was the lone vote opposing the appointment of a new chancellor who has a horrible labor record. Mandelman’s election could shift the balance of power on the board from the moderate-conservative majority to the progressives. He is eminently qualified for the job, would be an independent voice for his district, and works hard. We’re happy to endorse him. Judges don’t like elections, which is why you so rarely see a seat on the San Francisco bench come up on the ballot. Under the state Constitution, Superior Court judges are elected officials, but the law has a loophole: If a judge steps down in the middle of their term, the governor appoints the replacement. And unless someone comes forward to challenge that incumbent, the race never even appears on the ballot. The vast majority of judges in the state who retire or otherwise leave the bench do so in the middle of their terms. So it’s rare that an open seat comes up. There are good arguments that judicial seats shouldn’t be subject to the electoral process. Federal judges don’t have to stand for election; that gives them the ability to make decisions without fearing political backlash. (The unanimous decision desegregating the schools in Brown v. Board of Education would never have survived a plebiscite in 1954, nor would the judges who signed it.) California appellate and Supreme Court judges aren’t elected, and only have to face the voters every 12 years for confirmation. But the California Constitution gives voters the say over local judges—except that voters typically don’t pick local judges. The vast majority are appointed by the governor. And governors of California, for the most part, don’t appoint San Francisco public defenders to the bench. In the past 30 years, only one person has gone directly from the job of defending indigents charged with crimes to the judgeship. Yes, former PDs can become judges, but typically only after they have gone to work in the private sector. Those are some of the facts that define the four judicial races on the June ballot. In an unusual move, four deputy public defenders, frustrated with the direction of the courts on issues like bail reform, decided to challenge incumbent judges. We think this is a good thing; while we don’t want to over-politicize the judiciary, we live in San Francisco, and in this progressive city, judges from time to time should have to come into the community, explain what they are doing, and be held accountable. While the Superior Court judges do hold occasional community meetings and do outreach—more, we are told, than almost any other county bench in the state—there’s nothing like an election to force a debate over the issues involved in running the courts. Besides, everyone knows the process of becoming a judge is highly political: It just takes place in the Governor’s Office, behind closed doors. So while we agree that there are places in the country where powerful interests are trying to use elections to control the judiciary, the concept of an occasional election for Superior Court judge does not alarm us. All four of the challengers have been public defenders for many years. They’ve done hundreds of trials. They are eminently qualified for the job. They would also bring a different perspective to the bench; spending a career defending poor people, most of them people of color, against allegations by the police (who, every PD knows, often lie) changes your outlook on the legal system. Our endorsement of the four challengers isn’t an indictment of the incumbent judges. The challengers say the incumbents were all appointed by Republicans, which is true – but that doesn’t mean they are bad judges. And we are wary of challenging a judge because we disagree with their opinions or rulings. But we think there should be more diversity of backgrounds on the bench—which means there ought to be public defenders. And we like the idea of challenging incumbents and forcing some discussion—not about rulings or opinions, but about issues like bail reform, cameras in the courtrooms, the fact that judicial operations (like the selection of the presiding judge) are almost entirely secret – and the overall question of whether local judges ought to be elected, not appointed. To the critics on the bench and their supporters who say this is politicizing the judiciary, or that incumbent judges should not be challenged, we have a solution: Retire at the end of your term, not in the middle, so the votes can choose your replacement. The members of every other branch of government seem to be able to serve out the term they were elected to; judges can do the same. Because the judiciary is already highly politicized, through the appointment process – it’s just that the public never gets a role. This is a sleeper, a measure by Sup. 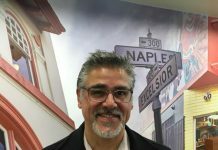 Aaron Peskin that would allow the Public Utilities Commission, with approval by the supervisors, to issue revenue bonds for clean power projects. It’s attracted very little attention or opposition—but it could be a huge step toward public power in San Francisco. This city has its own hydropower dam, and by federal law is supposed to run a public-power system. The reason that PG&E still controls the local electric grid is that for more than 100 years, the city hasn’t been able to approve a bond act to build its own delivery system. We generate power; we can’t sell it to retail customers because PG&E owns the lines and polls and meters. But if the PUC can issue revenue bonds to build out a renewable-energy infrastructure, potentially including a smart grid, we could transform the way we generate, sell, and distribute power in this town. The benefit to the city: Hundreds of millions of dollars in revenue every year, lower power bills, and an end to PG&E’s dirty power. This is a big deal; vote yes. Prop. B is a pretty basic good-government plan. If you’re holding an appointment to a city commission, and you want to run for office, you should step down. Vote yes. Prop. C, sponsored by Sups. 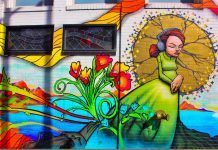 Jane Kim and Norman Yee, would increase the city’s business tax on commercial rents, raising between $100 million and $150 million a year that would pay for universal child care for low-income and middle-class San Franciscans. The need is radical: Families can pay as much as $20,000 a year for child care—and still, the workers who may be the most important teachers a kid will every have typically earn less than any other educators. There are more than 2,400 children on the wait list for affordable child care. Prop. C would clear that list, provide subsidies for families earning up to 200 percent of median income, and raise wages for childcare workers. The measure includes an exemption for small businesses. Commercial landlords in the city are among the biggest beneficiaries of the tech boom, and can well afford a tax hike. And providing quality child care to San Francisco families is a profoundly important goal. Vote yes. Why not work together, raise taxes to pay for both childcare and housing? Because Safai and Breed want to undermine Kim. That’s bogus and petty politics. Vote No. Sup. Malia Cohen pushed for, and passed, a law banning the sorts of flavored tobacco products that are designed to hook kids on nicotine—and the tobacco industry has forced this referendum. The tobacco consultants are buying ads talking about how prohibition doesn’t work, which is true. But prohibiting kids from buying sweets that will turn them into cigarette consumers does work—and that’s why Big Tobacco wants to overturn this. Vote Yes to preserve the ban. San Francisco keeps spending money on housing homeless people—and the number of people on the streets doesn’t decrease. One major reason: Eviction is a major cause of homelessness. Data show that 70 percent of the people living on the streets of San Francisco used to have a home in San Francisco. So we can’t address the homeless crisis without address the eviction crisis. And Prop. F is a huge step forward. Most tenants who face eviction don’t have a lawyer. Most tenants who do have a lawyer have a much greater chance of remaining in their homes. Prop. F would guarantee city funding to provide qualified legal counsel to any tenant facing an eviction. It’s “full scope” funding, meaning the tenant would have representation at every stage of the eviction proceeding. The cost of this would be fairly minimal, at most about $5 million a year. That’s far less that the city currently spends, and will continue to spend, providing services for tenants who become homeless because of evictions. Prop. F is a critical step toward slowing the eviction epidemic and preventing homelessness. Vote yes. Prop. G would levy a $298 annual tax on every parcel of land in San Francisco (exempting seniors who live in their homes). The $50 million the tax would raise would go to raising teacher salaries and increasing staffing, particularly at high-needs schools. SFUSD is having trouble recruiting teachers; many leave the profession after only a few years, and since the city doesn’t pay enough to afford to live here, many teachers look for jobs in other districts. It’s a crisis, and Prop. G is a step toward addressing the problem. Like any parcel tax, it’s imperfect: A homeowner with a small lot pays the same $298 as the owner of a downtown commercial building (although a lot of the really big buildings include multiple lots). But under Prop. 13, the city can’t raise property taxes, so this is the next best option. Vote yes. There’s so much wrong with this measure it’s hard to know where to start. The Police Officers Association, which is the biggest single obstacle to reform in the department, put this on the ballot. It would force the Police Commission and the chief to implement a policy they oppose (Chief Scott has come out against Prop. G). It would undermine the entire concept of civilian oversight of law enforcement. The POA is selling a totally misleading line – that Tasers would be an alternative to firearms, and would lead to fewer police shootings. That’s just wrong: A Taser can’t be an alternative to lethal force. By law, the cops can only pull a gun when they believe that their life, or the life of another, is in imminent danger—and, again by law and policy, a Taser can’t be used in that situation, since a good percentage of the time the stun guns don’t work. No: The cops will use Tasers instead of de-escalation, in cases where suspects are not an imminent threat to anyone. The devices have a long history of failure, and in many cases, have led to the death of suspects who were not threatening anyone. This is a terrible idea. Vote no. This one hasn’t gotten much political attention or support (the League of Pissed Off Voters may be the only other progressive group endorsing it). But we like Prop. I. It’s a policy statement saying that San Francisco should not attempt to woo sports teams here from other cities. The measure is aimed, of course, at the Warriors, and while it’s almost certainly too late to stop that particular move, the measure makes a good point. The Oakland fans were loyal Warriors supporters through a lot of down years, and now that the team is hugely successful, Mayor Lee helped encourage the owners to move to more glamorous digs across the Bay. Ticket prices will be so high that a lot of the longtime fans will be left out; Oakland, which needs sports-team money more than San Francisco does, gets left behind. The Warriors should have stayed in their old home. San Francisco officials shouldn’t have tried to take the team away. It’s not clear that Prop. I will actually change anything, but we like the sentiment. Vote yes. There’s absolutely no reason why an 84-year-old can’t run for, and serve in, the US Senate. If Diane Feinstein is healthy and retains her formidable intellect, she can be a senator until she’s 90. Although some argue that she’s unlikely to serve a full term, giving the next governor (gasp: Gavin Newsom?) the ability to appoint a replacement, that’s not our concern. We just don’t like her politics, and we never have. If she represented someplace other than San Francisco, and a state that wasn’t California, Feinstein could well be a Republican. We admire her stand against assault weapons and she’s always been pro-choice, but on economic issues, military and intelligence issues, and so much else, she is not in touch with her constituents. We give state Sen. Kevin De Leon credit for challenging Feinstein in the Democratic primary. He was an imperfect Senate President Pro Tem, but he has strong community roots, and would be a far more progressive senator than Feinstein. He’s got an uphill battle, but we are happy to endorse him. Let’s be honest: This is a protest vote. Rep. Nancy Pelosi will be re-elected, and if—as we hope—the Democrats retake the House, she will once again be speaker. That’s an outcome we could applaud. That said, Pelosi has never represented San Francisco values; she never pushed single-payer health care under Obama, she has taken impeachment “off the table,” she is all about big money—and oh, she privatized the Presidio National Park. Buttar has never held any elected office, and we don’t like when people run for high positions with no record. He’s only been in the city a few years. But he’s an accomplished lawyer and privacy advocate with the Electronic Frontier Foundation, and might add a needed voice on tech regulation. Might—because we don’t know. He’s never had to take a tough vote, in public, under heavy pressure from his own leadership and other interests. We endorse him only to send a message that San Francisco deserves a member of Congress who represents a real progressive agenda. And that’s not our incumbent. It’s astonishing that in an age clamoring for more female representation, the only credible woman running for governor of California has gotten so little attention. The race has been dominated by Lt. Gov. Gavin Newsom, who was a terrible mayor of San Francisco, a worthless Lite Guv who sued his own city to allow more development on the waterfront, and a candidate who makes promises that we—who have watched him for many years—know he won’t keep. It’s also a bit surprising that Antonio Villaraigosa, the former mayor of Los Angeles, isn’t doing better in the polls, when Latino voters are among the fastest-growing demographic in the state (and immigration is a dominant issue). Newsom has always been a corporate Democrat. Villaraigosa has a lot of offer, but it’s hard to back someone who was at war with the teachers union in his home town. Eastin is the only candidate who is (really) committed to reforming Prop. 13, to single-payer health care, and to radically changing the state’s priorities. We are proud to endorse her. We now know what a bad lieutenant governor looks like. We have a chance to see what a truly progressive, engaged, organizer can do in the job. McLaughlin was part of the movement that created the Richmond Progressive Alliance and was an excellent mayor of that town, fighting back against Chevron and pushing for rent control and worker rights. She’s the obvious choice. The incumbent, Xavier Beccera, was appointed by Gov. Jerry Brown to fill the term of Kamala Harris, who left to become a US Senator. Beccera has become the face of the legal resistance to the Trump Administration’s attacks on immigrants, and he deserves immense support for that. Jones was an excellent insurance commissioner who is strong on single-payer. But the issue that decided this for us is the death penalty: Jones is against it, and Beccera has accused him of being unwilling to enforce the law. We’re with Jones. This office has a lot more power and influence than it seems; the secretary of state not only runs California elections but oversees the registration of corporations and a vast database of information. Padilla has done a credible job and is pushing the Trump Administration on issues like the effort to discourage immigrants from answering the census. We’d still like to see a more active effort by his office on voter registration (why not send a representative to speak at every high school in the state and get every student to pre-register or register?) But we’ll endorse him for another term. Yee has always been a solid progressive, from her time on the state Board of Equalization (which she helped overhaul) to her role as state controller. She clearly deserves another term. Fiona Ma, who will almost certainly win this office, was a bad SF supervisor, a bad state Legislator, and will be a state treasurer who caters to the rich and powerful. We can’t back her, and there’s nobody else remotely qualified who is running. The League of Pissed-Off Voters went with Kevin Akin, who is running on a platform of creating a public bank, but he has no experience in finance and no chance of winning. Register your protest if you want. Thurmond was a member of the Richmond City Council when the progressives held control, but he never got the Richmond Progressive Alliance nod because he refused to pledge not to take corporate money. He moved on to the state Assembly, and is now running for the school’s chief job. He’s by far the best candidate and has consistent progressive support. First of all: This board, thanks to a history of screw-ups and corruption, now has almost no real power. It’s just a high-paid sinecure for politicians who have statewide ambitions. San Francisco Supervisor Malia Cohen is running; based on her record, we can’t support her. Catherine Gagliani, A San Joaquin County state senator, isn’t much better. This office ought to be abolished anyway. We were never big fans of Assemblymember David Chiu, who cost hundreds, maybe thousands of San Franciscans their homes by pushing a bill through the Board of Supervisors written and backed by Airbnb that legalized the practice of turning apartments into hotel rooms with very few restrictions. The city has since realized that policy was a failure and tightened it up—which does no good for the people who were evicted while Chiu’s law was in effect. We’ve found Assemblymember Phil Ting a bit better—he’s more accountable and willing to listen to the community. But Ting is a co-sponsor of SB 827, the bill by State Sen. Scott Wiener that would upzone practically the entire city, and which amounts to a massive transfer of wealth to property owners and developers. That’s a deal-breaker for us. Ick. Ugh. We are not at all happy with the process that got us to Regional Measure Three, a $4.45 billion program that will fund a wide range of transit improvements by raising taxes on all of the region’s bridges by $1 immediately and $3 by 2025. For starters, this is a Metropolitan Transportation Commission project, and the MTC remains an out-of-control agency that promotes growth at all costs. It’s also a regressive tax, hitting the commuters who are forced to drive across bridges because housing costs have forced them farther and farther away from jobs in the central Bay Area. It includes a bunch of highway projects that aren’t needed (the whole idea is to get people out of their cars, right?) and looks like the project list was put together not in the name of regional planning but to mollify various constituencies. It’s not the way this should be done. Still: Charging higher tolls for cars is not bad if the money goes for projects that will really allow people to commute without cars. Bringing Caltrain into downtown SF, expanding BART to San Jose, increasing ferry routes across the Bay, spending $240 million on new buses for Muni and AC Transit … these are things that need to be done. We would prefer a tax on the tech industry that created this gridlock. We would prefer a better planning process. But the needs are so real that we are willing to hold our noses and say Yes. This modest $4 billion bond, out on the ballot by the Legislature, would go to natural-resources projects including parks, flood protection, and river and waterway improvements. Vote yes. Prop. 69 is an attempt by the Democrats in the state Legislature to defend the $5 billion increase in gas taxes and vehicle license fees against a likely referendum in the fall. It guarantees that all the new tax money will go to transportation projects and won’t be diverted for other state needs. This is a solution in search of a problem, since that money hasn’t been diverted, but it’s harmless and may convince some voters not to overturn the gas tax. Vote yes. This measure, backed by Gov. Brown, would make it harder to spend money collected from the cap-and-trade pollution-control program. Almost every legitimate environmental group in the state opposes it. So do we; vote No. This is a simple clean-up bill that makes sure all ballot measures take effect at the same time, five days after the election is certified. It has little opposition. Should people who install rain-capture systems as a drought-prevention and water-preservation program have to pay higher property taxes as a result? Probably not. This is another carve out to the insane Prop. 13, but sure. Vote yes.